Agrawal, N., Jatav, A., Singhal, P. (2013). The Study of Biological Effect of EM Radiation by Antenna at Different Position of Human Model. International Journal of Advanced Biological and Biomedical Research, 1(6), 660-668. Namrata Agrawal; Anita Jatav; P.K Singhal. "The Study of Biological Effect of EM Radiation by Antenna at Different Position of Human Model". 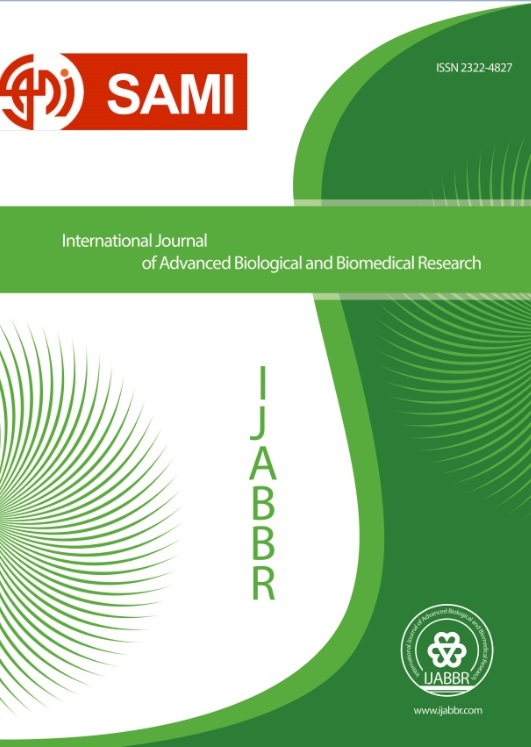 International Journal of Advanced Biological and Biomedical Research, 1, 6, 2013, 660-668. Agrawal, N., Jatav, A., Singhal, P. (2013). 'The Study of Biological Effect of EM Radiation by Antenna at Different Position of Human Model', International Journal of Advanced Biological and Biomedical Research, 1(6), pp. 660-668. Agrawal, N., Jatav, A., Singhal, P. The Study of Biological Effect of EM Radiation by Antenna at Different Position of Human Model. International Journal of Advanced Biological and Biomedical Research, 2013; 1(6): 660-668.